Workrite Pinnacle AD arm - Jestik, Inc. minutes! Looking to customize you workstation to suit your work requirements? Or do you simply fancy having a personalized work center to help you work more efficiently? The Pinnacle AD arm is a good option if you’re looking for a handy mount that is space saving as well as conveniently adjustable having independent height and angle controls. 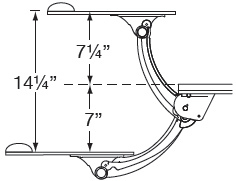 It can be positioned either above or below desk. 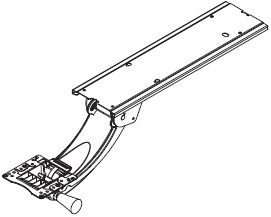 track with a 6” and 11” platform storage.